Considering stop smoking hypnosis ? Pretty much every hypnotherapist in the world says they are an expert at stop smoking hypnosis. So how are you going to tell who is the right one for you? In this blog we are going to look at the main things to look for when considering a hypnotists for stop smoking hypnosis. Obvious perhaps, but there are so many different hypnotherapy qualifications how can you be expected to judge between them? So here is your easy guide, don’t bother! let someone else do it for you and that someone is the Complementary and Natural Healthcare Council ( CNHC ). The CNHC is an independent government body who set a standard for many complementary therapy professions. Most of the major training schools ensure that their qualifications are sufficient to meet CNHC standards. Membership of the CNHC indicates a certain level of training. In short, if the hypnotherapist is on there list of hypnotherapists they are trained. If they are not CNHC registered not probably best to leave them alone. It’s that simple, the person who has put the most time and effort into writing about stop smoking hypnosis is probably the most passionate on the subject. In short, don’t worry too much about it. Although for complex emotional issues I would strongly advise a more experienced hypnotherapists stop smoking hypnosis is pretty straightforward. For more detailed information about hypnotherapy itself please go to What is a hypnotherapy session like? 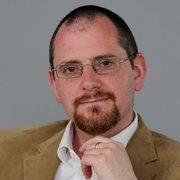 The author – Matt is a hypnotherapists in Birmingham with over 16 years experience of helping people to quit smoking and teaching stop-smoking hypnosis.